"The USnooBie is a microcontroller kit that does not require any sort of AVR programmer or USB-to-serial converters to load and run compiled code. 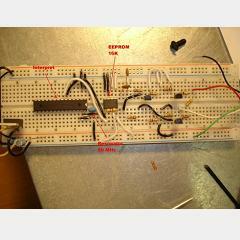 It’s hardware design allows the user to develop low cost USB devices with Atmel’s AVR ATmega microcontrollers. 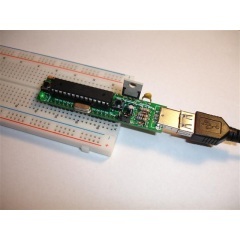 It can also be used to develop projects which are not USB devices. 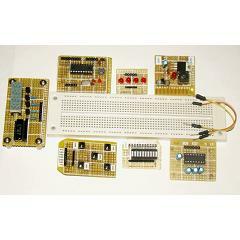 It is even compatible with Arduino." 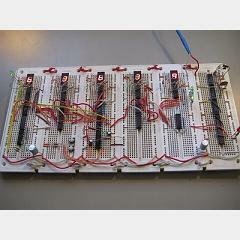 PWM signals are used all over the place, and for motor control they are a must. 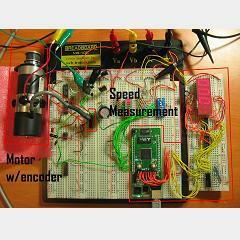 Varying the PWM signal will control speed and direction through most motor controllers. This white paper describes one way of making PWM signals with a Xilinx FPGA and also incorporating feedback control from the motor in the FPGA. This article is short, sweet and to the point. 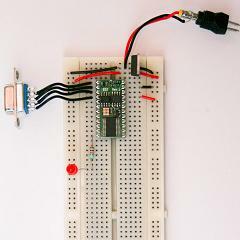 Using some jameco and parallax parts this tutorial guides you through the process of getting started with microcontroller prototyping on a breadboard. The parts are all listed out and pictures included for clarity. 74xx TTL logic chips are widely available and cheap. 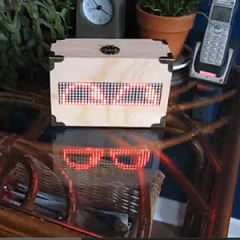 Breadboards are built so that they fit perfectly , however the TTL clock created here shows you just how much can be done on them. 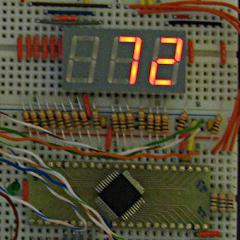 This article shows you what it takes to create a TTL clock on breadboards with only jumper wire and TTL chips. 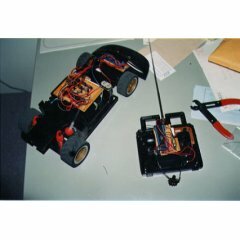 Hardware schematics and demo videos are included.